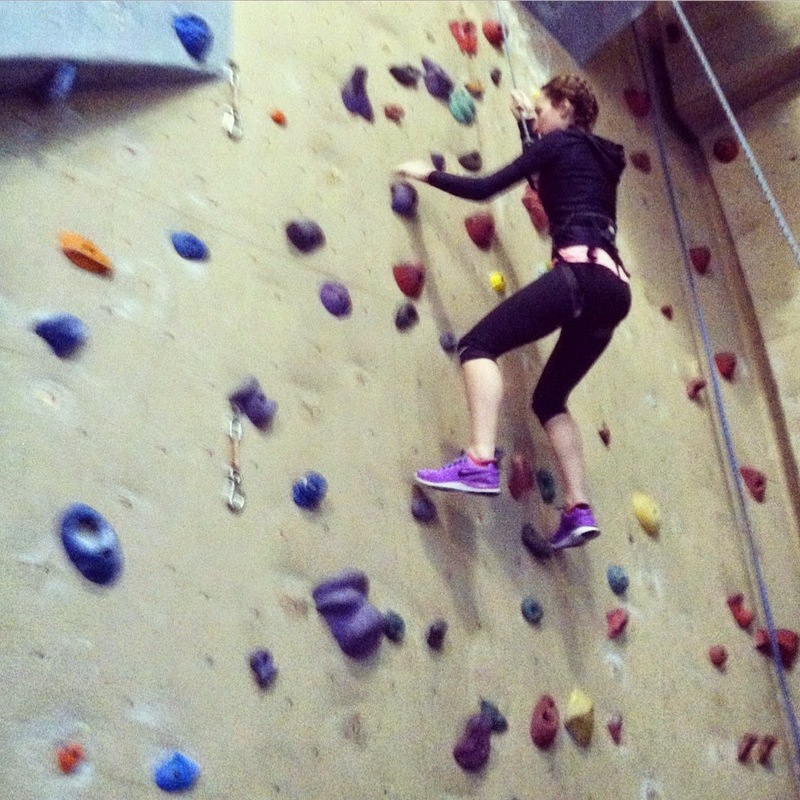 Run Jen Run: Conquering Fears: I Went Rock Climbing! 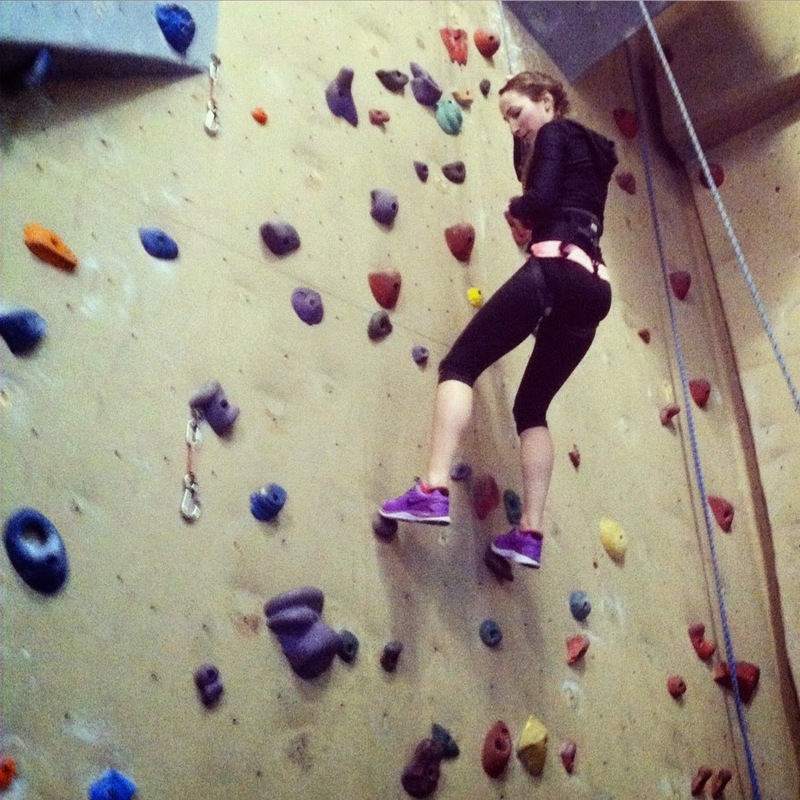 On Friday, I went rock climbing! 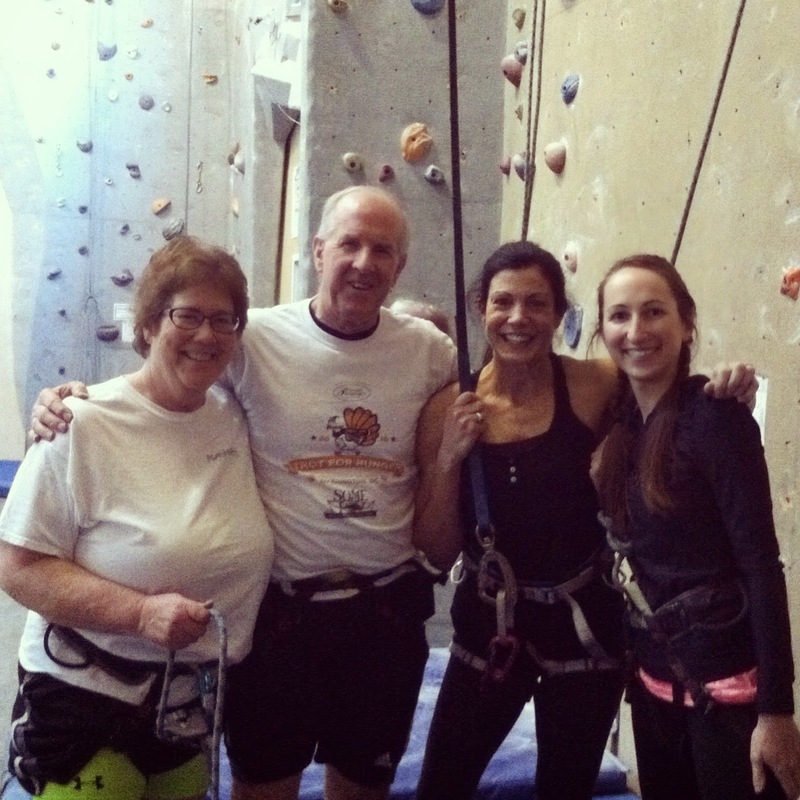 A few weeks ago during my 7:30am group training, one of my clients mentioned rock climbing. Actually she has mentioned it a few times but I never really thought I would ever go. But this time two others in my group showed interest, a date was set, and a few hours later reservations were made and waivers were electronically signed. My role at the gym is to educate, motivate, and tailor workouts based the goals and fitness levels of each individual but really my clients inspire me everyday. Wendy is an incredible, strong athlete—and a grandmother! Beth is recently retired and decided that her new “full time job” was the gym. Her dedication to her health and fitness is inspiring to everyone that meets her. Bill is the newest member to join our group. He works hard every session and is always up for a challenge. 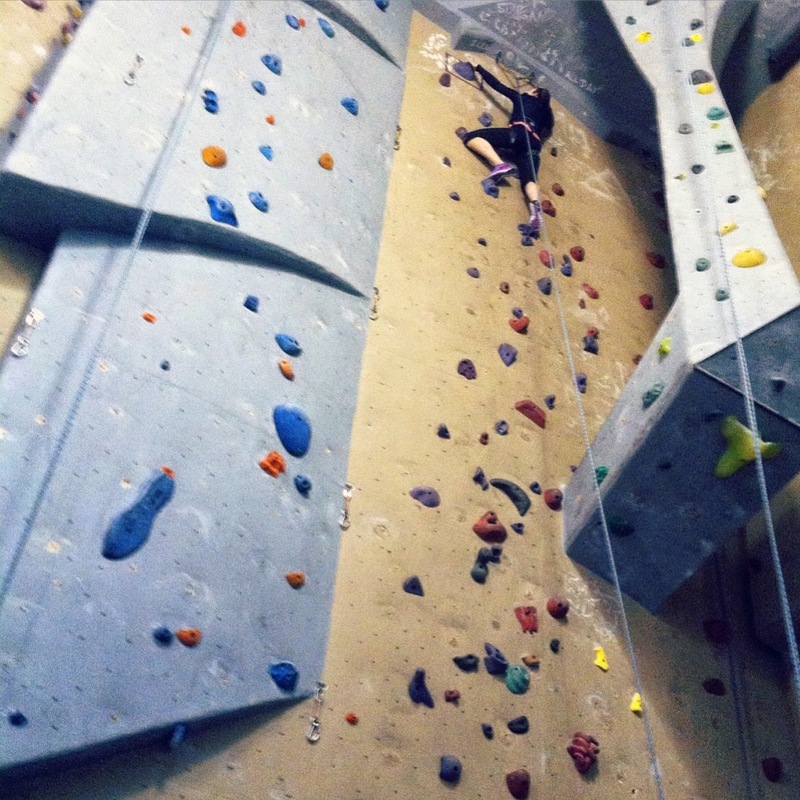 If they could rock climb, I needed to put my fears aside and just do it. I always say #NoExcuses right? When we arrived at Carabiner’s in New Bedford, we were all amazed at how cool the facility was. We were going to rock climb! Wendy went off on her own to use the auto-belay while Beth, Bill, and I took the intro course and learned all the knots, set up and safety. BUT THEN as we were packing up, I decided to give it one more try. Bill was belaying for me. Wendy and Beth were my cheerleaders. AND I CLIMBED UP THE WHOLE WALL! I wanted to stop a few times but they kept me going. Role reversal! It was awesome! It was a small accomplishment but very proud moment. Not sure when I will rock climb again as the closest climbing facility is about an hour away but I do hope to make it back someday!